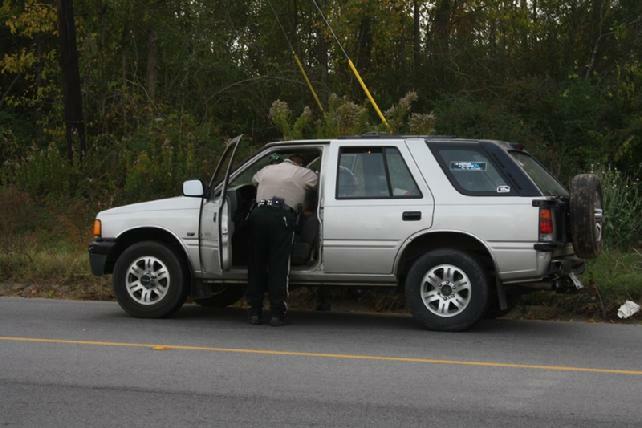 Deputies search a silver Isuzu SUV in Livingston on Saturday afternoon (December 3). Dangerous Drugs, Warrants, and Invalid License Land 2 in Jail, LIVINGSTON, December 4, 2011 - On Saturday afternoon, December 3, 2011, Narcotics Detective Christopher Lima was on patrol in Livingston and initiated a traffic stop just off Business 59 on North Houston. 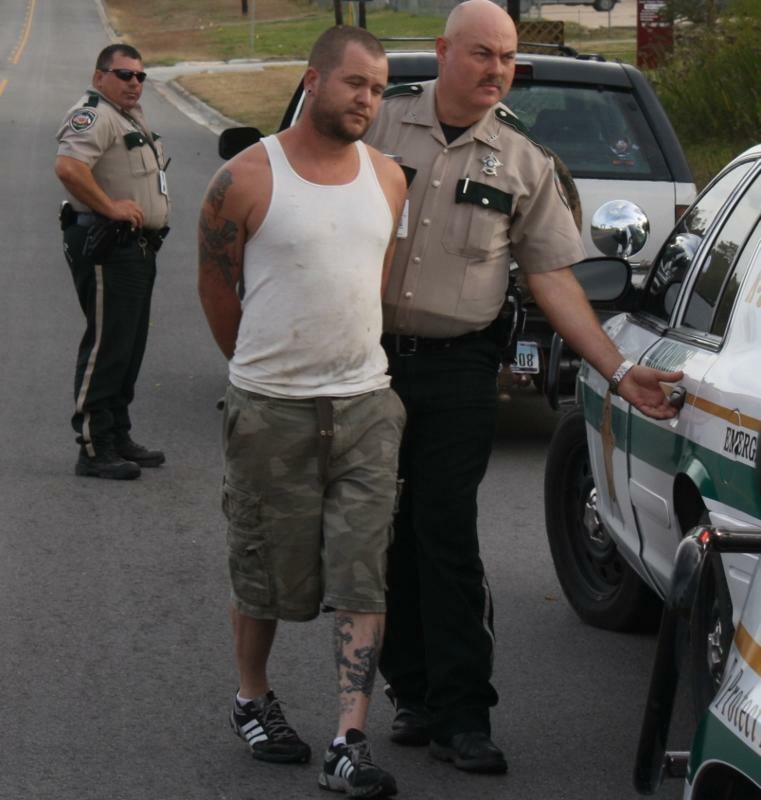 The vehicle was a silver Isuzu SUV driven by Dustin Lynn Johnson, 30, of Livingston. As it turns out, Johnson was driving with an invalid license. 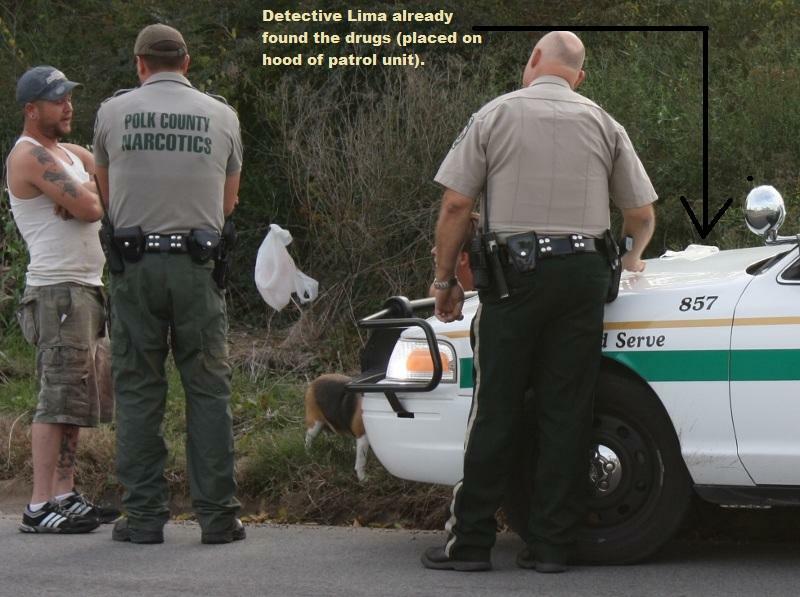 Lima was quickly joined by Deputies Glenn Edwards and Mark Dubose of the Polk County Sheriff's Office. 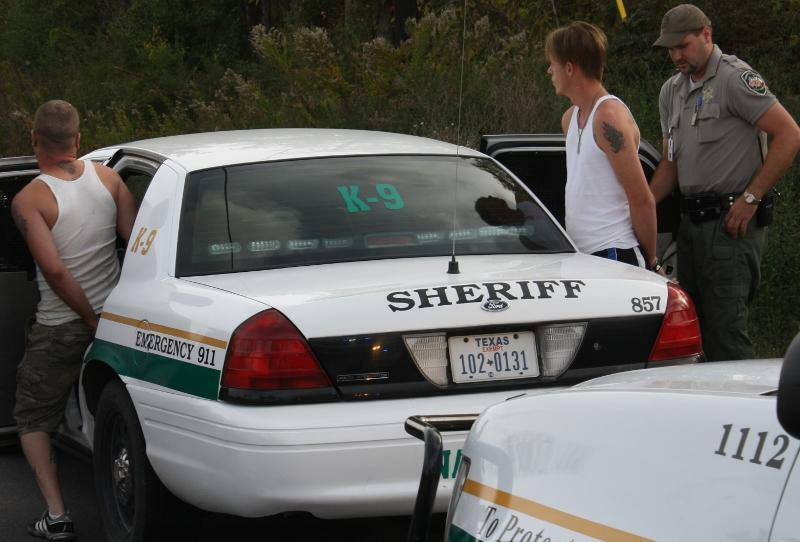 Lima suspected contraband and gained consent to search the vehicle. Both Johnson and his passenger, Daniel Joseph White, 27, of Camden, Arkansas were removed from the vehicle. Lima's suspicions were correct when he found dangerous drugs inside the SUV. Passenger Daniel White admitted that the drugs were his. Dustin Johnson was placed under arrest for driving with invalid license and Daniel White was arrested and charged with possession of dangerous drugs, failure to maintain financial responsibility and had three warrants out for his arrest. The vehicle was sent for and a friend arrived to drive it away from the scene. 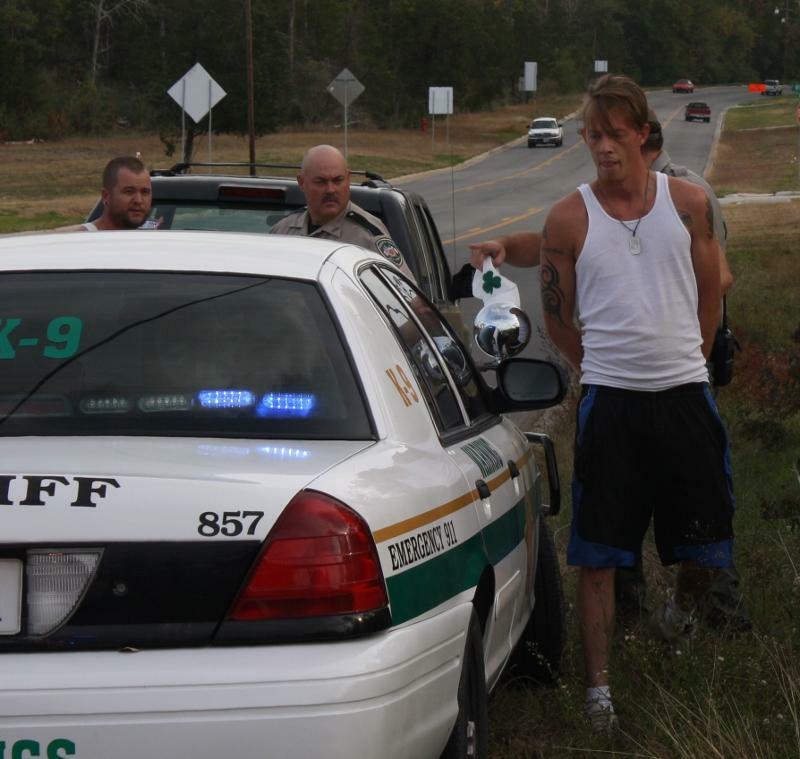 Daniel Joseph White, 27, of Camden, Arkansas, smiles for the PolkCountyToday.com camera moments before being arrested for possession of dangerous drugs and warrants. 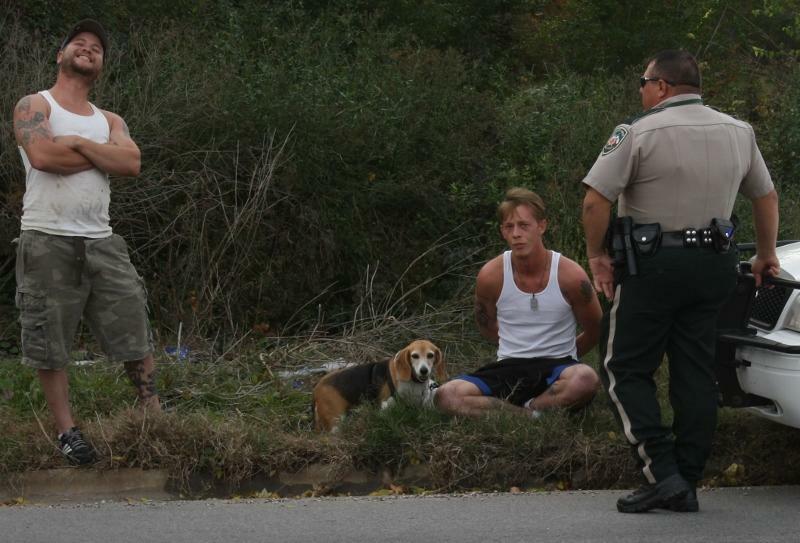 Dustin Lynn Johnson, 30, of Livingston, is seated on the ground and was also arrested. Deputy Mark Dubose stands guard. Detective Christopher Lima listens as White tries to explain (Deputy Glenn Edwards pictured at right). 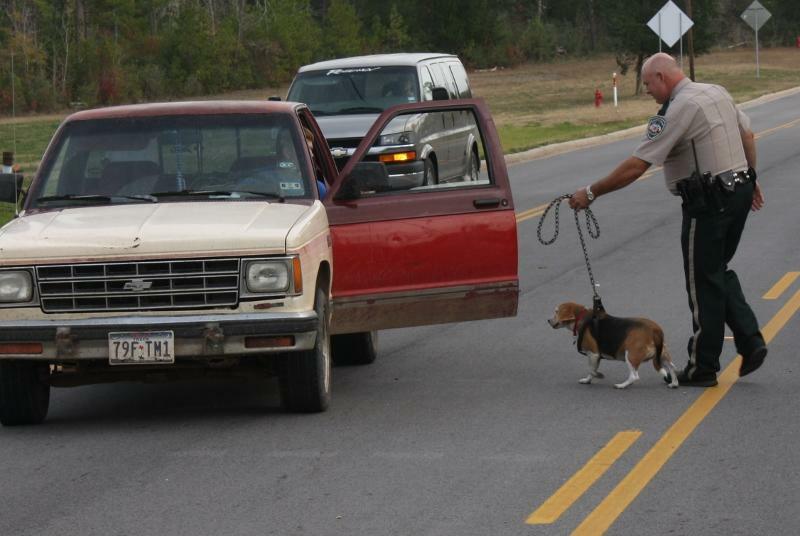 Johnson's dog was picked up by a friend (Deputy Glenn Edwards turns over the precious cargo). 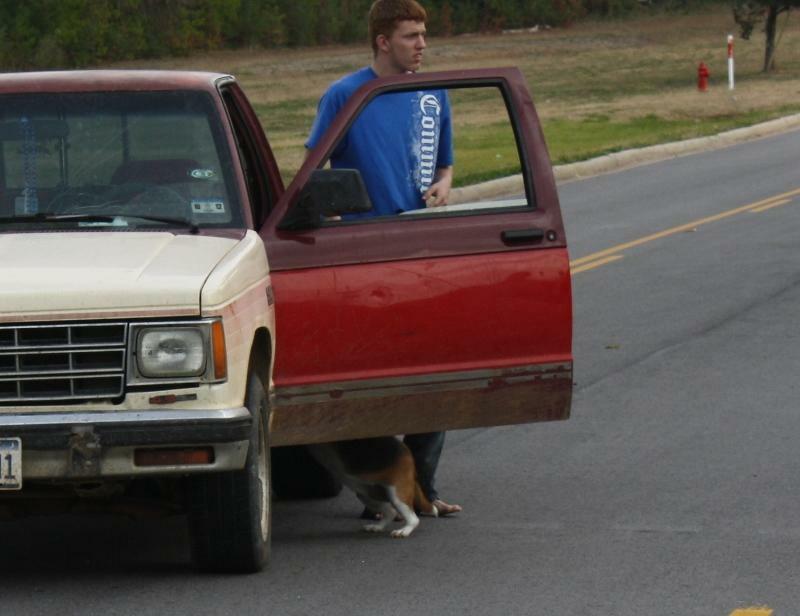 The dog jumped right up into the truck. ...as was White (NOTE: no longer smiling).